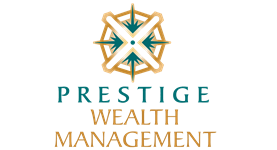 Prestige Wealth Management is a Registered Investment Adviser. Advisory services are only offered to clients or prospective clients where Prestige Wealth Management and its representatives are properly licensed or exempt from licensure. This website is solely for the informational purposes. Past performance is no guarantee of future returns. Investing involves risk and possible loss of principal capital. No advice may be rendered by Prestige Wealth Management unless a client service agreement is in place. CFP™ and CERTIFIED FINANCIAL PLANNER™ are certification marks owned by the Certified Financial Planner Board of Standards, Inc. These marks are awarded to individuals who successfully complete the CFP Board's initial and ongoing certification requirements.